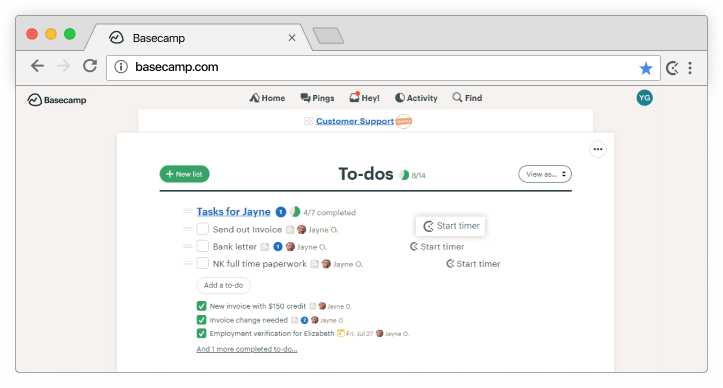 Track time on to-dos right from Basecamp with just one click. Later, run time reports in Clockify, the only 100% free time tracking app. 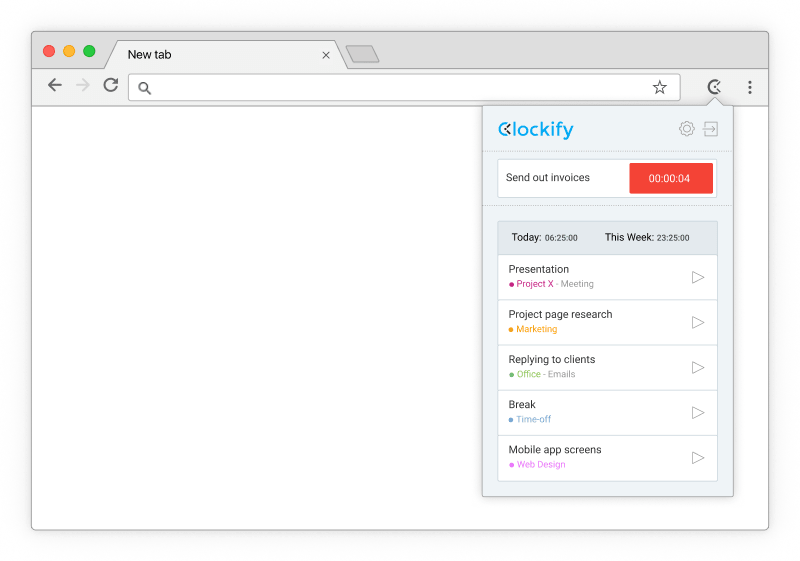 Get Clockify Time Tracker for Chrome or Firefox. Clockify timer button will automatically appear in all Basecamp to-dos. 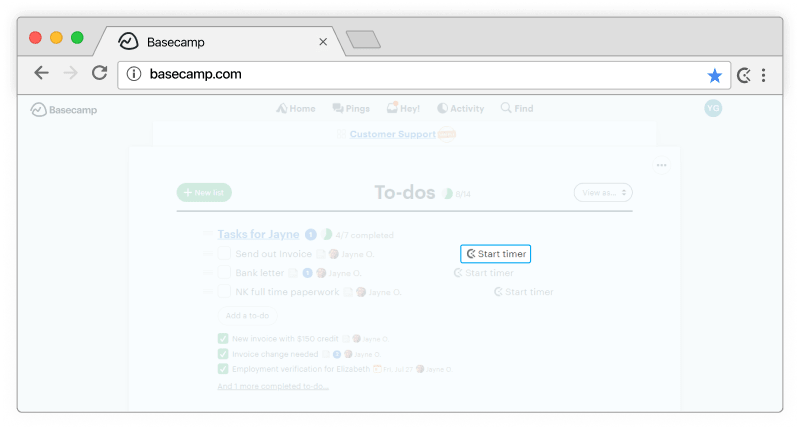 Clockify will pick up Basecamp's to-do name and the timer will start ticking. You can stop the timer from anywhere (browser, mobile, or desktop). In the web version, you can edit past entries, analyze time, manage projects, invite people, review timesheets, and export reports. Time tracking is so easy that you can do it with one click. 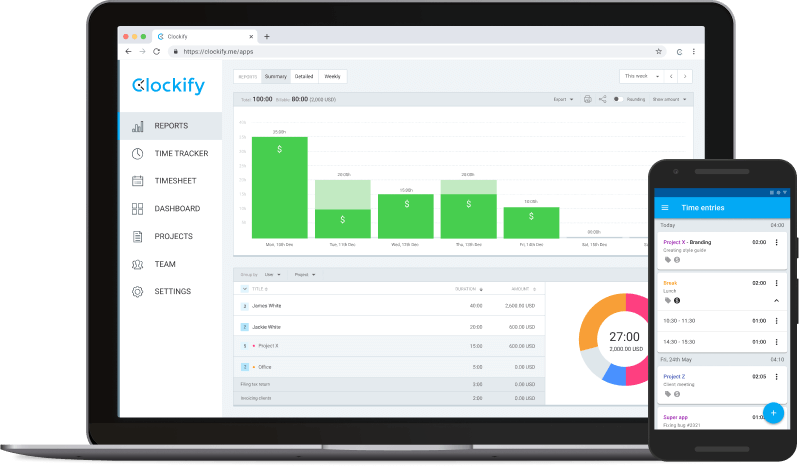 Clockify is the only 100% free time tracker for teams. You can invite as many team members as you want for free. See how much time you've spent on projects at a glance. Analyze how much time you and your team spend working weekly. Export all time data into Excel, PDF, or CSV. Push and pull time tracking data to and from Clockify. Set project estimates and track project progress. Clockify calculates your billable hours automatically. Track time from inside other productivity apps (besides Basecamp). Clockify is available for web, mobile, and desktop. Get notifications when you've tracked too many hours.